In Alice Springs, culture, cultivars and enlightening encounters combine to create a unique and engaging experience found nowhere else in Australia. Although the luxury of finer things—materialism and fancy fixtures – occurs in spades throughout the region, a visit to Alice Springs solely for canapés and convention spaces would sell the region short of its potential. 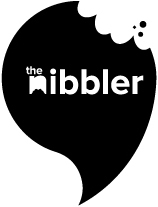 During The Nibbler’s latest visit to the Red Centre, it became apparent that Alice Springs offers a very different kind of luxury: a luxury of culture. Defined event and resort spaces like Crowne Plaza Alice Springs Lasseters, DoubleTree by Hilton, and Mercure Alice Springs Resort provide double opportunities for convenience and comfort, while each offering small to medium sized venues. But what is and will be truly valuable to your delegates during an event schedule, is the hospitality and tradition of Alice Springs, of the Arrernte people and their mythology. A trip to Mparntwe (the Arrernte name for the region) is best experienced with open eyes and ears, while the best itineraries should aim to experience the arts and cultures of the region. A visit to the Alice Springs Desert Park, which hosts native ingredient talk-and-tastes some 15 or so minutes from the city centre, illustrates how close this phenomenon is to everyday life and how the local Arrernte people thrived in desert conditions. 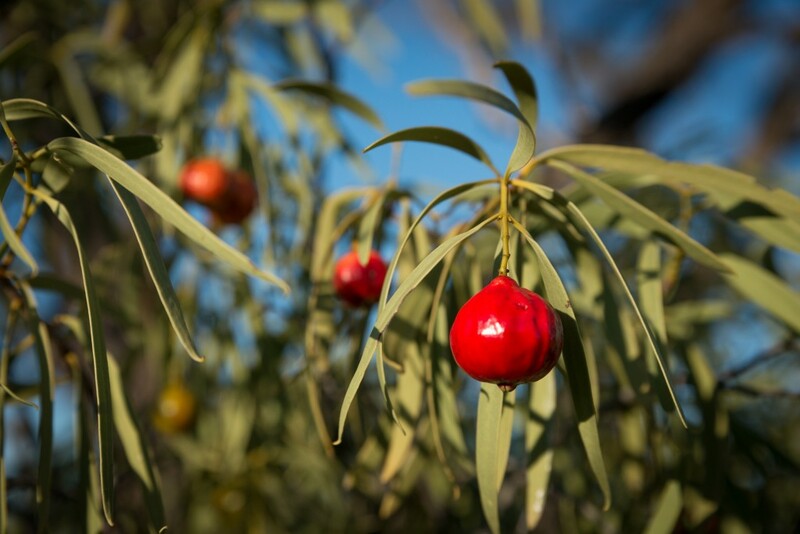 Try hand-cultivated quandong fruit on your visit to the Alice Springs Desert Park. Traditional jewellery making practices incorporate the seed of the quandong. 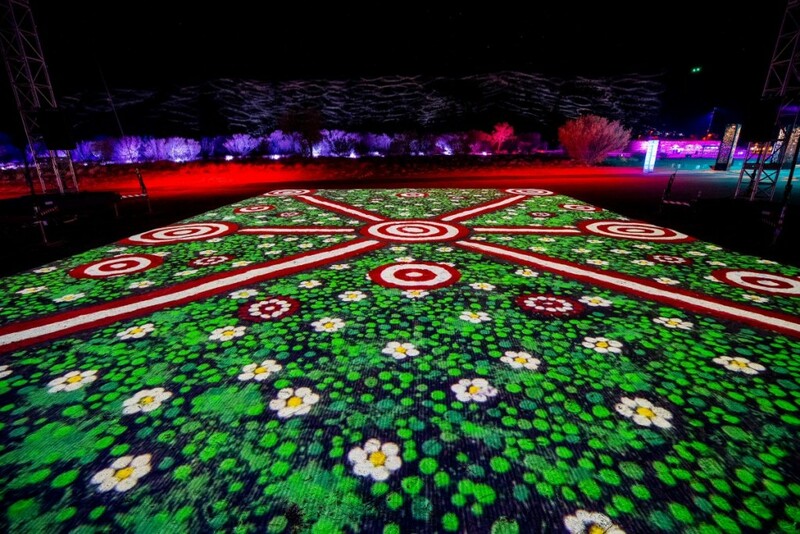 For a truly magical experience that will make you light up from the inside-out, coincide your event with Parrtjima: A Festival in Light – the only authentic First Nations festival of its kind– which is annually hosted in the Desert Park by night. Parrtjima is the only authentic First Nations festival of its kind, showcasing the oldest continuous cultures on earth through the newest technology – all on a 300-million-year-old natural canvas in the Red Centre. Combine that with a truly inspiring visit to Purple House, an Aboriginal community-controlled health service, providing mobile dialysis services to remote First Nations people in Central Australia. Remote Indigenous people in Central Australia are up to 30 times more likely to suffer from kidney disease than other Australians. Hearing about Purple House’s history as an Indigenous Australian art establishment, opened by the grace of a Walungurru (Kintore) and Kiwirrkurra collaborative paintings project that auctioned for more than $1 million, is also a touching and heart-warming lesson. As a base for conferences, the Alice Springs Convention Centre offers the largest event spaces in the region, with its nearly 1,176 square-metre MacDonnell room capable of seating 1,200 people in a theatre arrangement. Further orientations include a classroom (seating 747), banquet (600 to 750), cabaret (600) and cocktail (1200) arrangement, while the room can also be divided into three sections. “A conference in Alice Springs offers a once-in-a-lifetime experience for delegates,” Stewart Manson general manager for Crowne Plaza Alice Springs and Alice Springs Convention Centre said. “Everywhere has their unique key attractions. I really do think that [Alice Springs] is on every delegates bucket-list … we’re trying to make Alice Springs a regular feature of people’s rotations on their conferences,” Manson said. 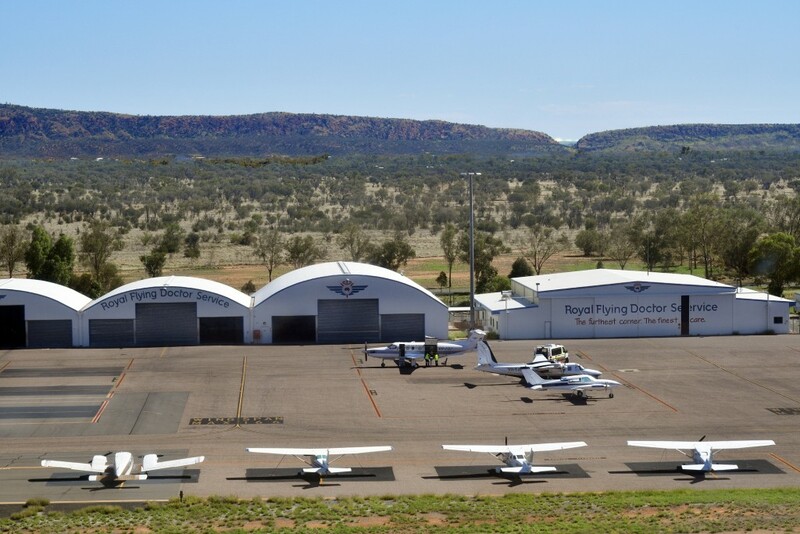 Make sure to incorporate a visit to the Royal Flying Doctors Service central operations facility in Alice Springs. Although fixtures and sites are on offer for events, you should consider transferring seaside for ochre on your next convention for an authenticity of culture, hospitality, tradition, and First Nations country and language. Truly, one feels smaller, humbler, for having visited Alice Springs, with the ever-present MacDonnell ranges and desert along with the mythology surrounding these regions. Never before in modern Australian history has the importance of diversity and representation, in the forms of gender, culture, sexuality and race been more important in our everyday lives. This extends to the relationships workplaces facilitate in their staff, and the cultures companies nurture within their walls. These are qualities that a trip to Alice Springs, along with an inspiring, top-end event, could help to facilitate. The 2015 Alice Stampede mega-familiarisation took Alice Springs by storm over four action-packed days.